Cost is typically 1/4 the price. You are without your car for only hours as opposed to days. No awful rental cars! Touch up can be completed where ever you want (home, work or the mall). There is something called Diminished Value with every accident. Read about it here. We all know that when you are the one responsible for the damage and you claim it on your insurance that you must lose money on the deductible and your premium goes up on renewal. But did you know that your insurance reports that ‘”accident” to the DMV and in turn the DMV reports the accident to CarFax and other car depreciation record reports? 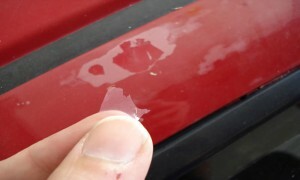 The reports do not describe the severity of the damage only the dollar amount and/or location on the vehicle. Since the cost of repair can vary wildly for the same damage depending on who repaired it and how well, no one can ever really know what happened. When you see an “accident” on a car fax how bad do you assume it must have been to make it there? 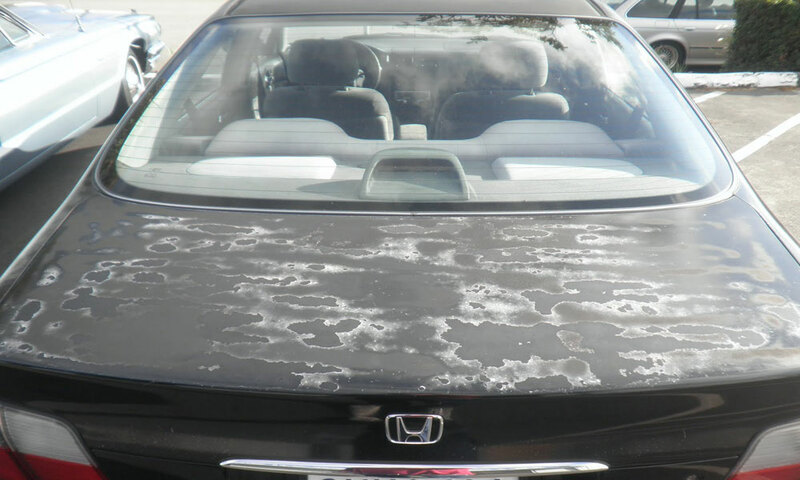 The next person to buy the car will probably assume the worst. So, in reality, you lose the deductible ($500 – $1000), premium goes up at least $200, and, depending on the type of car you own, the value may have dropped between $100 and $5000 for a minor scrape. Don’t panic and go directly to insurance. Touch up the damage to hide and protect it while you gather the money to pay for the body shop repair and save far more in the end. Please select a button below if you’d like to share. Who should use touch up? Not too many people can say they buy cars solely for mechanical performance. People want something to drive that looks good. If you are selling a car that is in high supply (such as a Honda Civic), you have a lot of competition. Your customers will always take the better looking car unless it comes at a deep discount. So, have the best looking car out there! Sell it faster and for more money. Don’t pay top dollar if you don’t have to for that used car. It’s easy to talk a seller down about poor paint quality because no one knows about the amazing feats of modern day touch up. Hit them with body shop repair prices and we can turn it into the beauty it should have been. Planning on keeping that car for years to come? Lets take care of it! You do regular maintenance for the mechanical components and so you should for your paint job as well. Closing the gouges in your cars skin will keep the disease of rust from spreading under the paint. It also keeps the clear coat strong to resist oxidation. 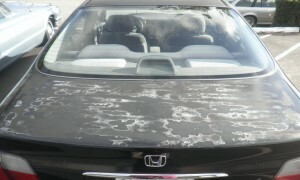 Once the clear coat is compromised the peeling spreads quickly and, unfortunately, that is something touch up can’t repair. Especially if you are fortunate enough to own a classic with original paint, you should be using touch up to preserve it. You need someone you can trust not to damage the paint further while restoring it’s original beauty. Keep that value up and your expenses down. When it’s time to return that leased vehicle, the dealer will hit you up to repair everything. Many of our customers come to us with thousands in repair requirements and we are able to repair them for just hundreds. We have yet to repair a leased vehicle and have the leasing company be unsatisfied. Saving thousands is always worth a shot, especially if you have professionals to trust.